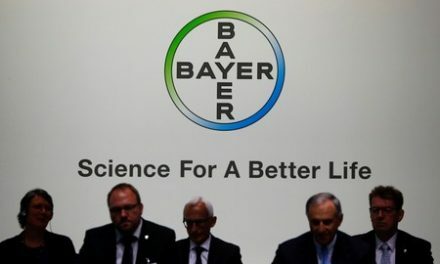 (Reuters) – Endo International Plc is halting its lawsuit against the U.S. Food And Drug Administration until the end of the year after the agency made new commitments on the regulation relating to the active ingredient in blood pressure medicine Vasostrict. Endo’s lawsuit, filed by its subsidiaries in a federal court in Washington, D.C. last year, accused the agency of improperly authorizing the bulk compounding of hundreds of drugs, including “essentially a copy” of its Vasostrict treatment. Last month, the FDA proposed excluding three substances from a list of ingredients that could be used to manufacture compounded medications in bulk, including vasopressin, the active ingredient in Vasostrict. That would effectively give Endo’s drug more protection from competitors included Buffalo, New-York-based pharmaceutical company Athenex Inc, which launched compounded formulation of vasopressin last month. The action also represented the first time the U.S. health regulator pushed to exclude any substance that may be used to bulk-produce compounded drugs that do not need to go through its safety approval process. “We believe that a brief additional stay of our litigation is appropriate to allow FDA to complete its rulemaking process,” Matthew Maletta, Endo’s chief legal officer, said in a statement on Monday. If the court approves the proposed stay, the hearing scheduled for October 3, 2018 will be taken off calendar, Endo, which reported $399.9 million in Vasostrict sales last year, said. Endo previously agreed to stay requests from the FDA in January 2018 and April 2018.